Tropical Cyclone Pam struck Vanuatu with devastating force on 13 March 2015. The Category 5 storm brought 250 km/hour winds, heavy rains and flooding that displaced thousands of people, flattened homes, destroyed critical infrastructure and caused extensive damage to agriculture. Initial rapid assessments led by the government indicate that the banana crop has been largely destroyed throughout the country, as have most coconuts, inland cabbage plants and leafy vegetables. Much of cassava, taro and yams – the most important local food sources – have been uprooted and flooded, and fruit trees have been stripped. The death of small livestock such as pigs and poultry has diminished vital sources of protein. Fisheries infrastructure, including canoes, small boats and fishing gear have been badly damaged. 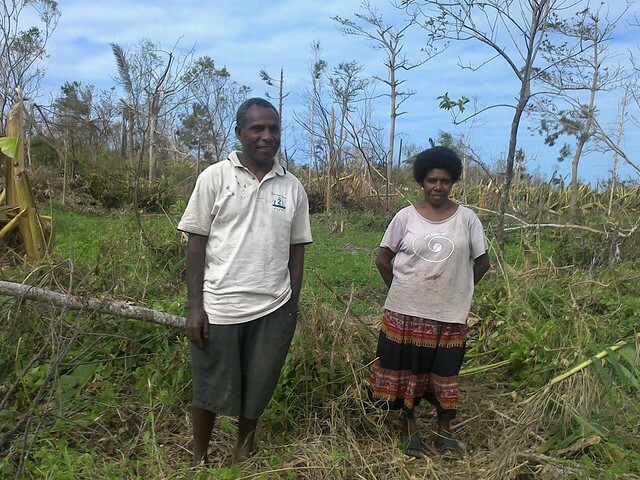 These losses have caused immense hardship, especially among the 80 percent of people in Vanuatu who rely on agriculture. In addition to the destruction of crops, existing food and seed stocks have also been destroyed by the cyclone. In all provinces, much of the population will be without local staple food supply from the end of March until at least mid June – when fast-growing crops can be harvested if replanting starts immediately. FAO works with the Vanuatu Food Security and Agriculture Cluster, which is leading an integrated response by the Government and the international community, to restore agricultural production and rebuild people’s livelihoods, as well as to increase the country’s resilience to extreme weather events. - El ciclón Idai tocó tierra en la ciudad portuaria de Beira, en Mozambique, antes de diezmar varias provincias. - Salvar vidas a través de medios de vida más fuertes y más resilientes en 2019.